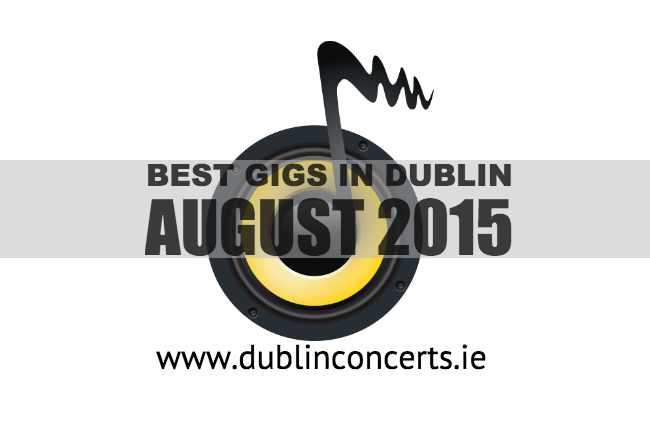 We took a look at some of the best gigs that the month of August has to offer, and here is what we recommend. After making an appearance at the Indipendence festival, Portland’s finest The Dandy Warhols, make the trip to Dublin to play The Academy on the 3rd as they embark on a short European tour before heading back to the states for a flurry of winter shows. If you require a bit of downtime after the weekend’s festivities, you should be back up and ready to ‘brew up a storm’ and catch The Stunning at the Bulmers Live at Leopardstown on Thursday the 6th. The retro rockers kick off this month’s post racing party, which continues the following Thursday the 13th with The Human League headlining that week’s event. Band name of the month surely goes to Red Moon Bayonets. With the cool name and even cooler sound, the Dublin four piece comes to the Bello Bar on Friday the 7th for the release of their latest EP which was recorded at the world famous Westland Studios. For those of you who like your music a bit more on the heavy side (and of course we like to rock out here at Dublin Concerts too), then be prepared as Brazilian metal masters Sepultura come to town. Currently on the European leg of their 30th Anniversary tour, the band will play a whopping 18 gigs in 22 days in August, including one date in The Academy in Dublin on the 10th. To completely flip the coin, at the National Concert Hall on the 14th, featuring the RTE Concert Orchestra is Wet Wet Wet lead singer, Marti Pellow. From band life to solo career to a star of the stage, Pellow is known to mix it up as he did in NCH back in 2012. Wednesday the 19th sees the arrival of the strange but wonderful noise rock outfit Deerhoof. Having become accustomed to their weird style when they were support to Radiohead in Marlay Park in 2006, truth be told, they are strangely compelling. A must see. In The Workman’s Club on Friday the 21st, Pyramid Hill will be hosting a launch party for their second studio EP. Based in Dublin, the band have been on the up and up since their inception in 2009 including winning the best unsigned act at Sea Sessions a couple of years ago. If none of the above suits your fancy, and you only go to one gig this month, make it down to Whelan’s on Wednesday the 26th to see a music connoisseur in action. With superb vocals and heartfelt lyrics, Matt McGinn will have you braced to your seat with his delightful acoustic set. Doing the rounds for a few years now, the Northern Irishman has made fans in high places along the way and collaborated with some heavy hitters stateside. Coming towards the end of the month, Friday the 28th has a few gigs that might peak your interest. From Ryan Sheridan, who shot on the scene in 2010 with his superb single ‘Jigsaw’, who plays Whelan’s, to frontman of supergroup Mr. Big, Eric Martin, who plays The Workman’s Club. That tough choice is yours to make. So there you have it, a packed month of some very interesting and intriguing gigs throughout the city. Here’s a complete list of what’s on in Dublin this month. Don’t forget to let us know your recommendations for gigs this month and, if you go to any of the above, tell us what you thought on Twitter or Facebook.